When it comes to marketing how does your performance measure up? What is the right digital and technology to deliver marketing performance? Do you need to rationalise your roster or optimise it? Want to achieve higher levels of media transparency and value? When it comes to marketing how does your performance measure up? Marketers are facing increasing challenges in a complex market. There is greater pressure on marketers to demonstrate effectiveness, drive customer experience and ultimately business growth. This means that marketers need to focus not only on delivering performance, but also on proving the effectiveness and efficiency of their strategy and execution. Read more here. If you want to discuss this with a TrinityP3 consultant simply click here. What is the right digital and technology to deliver marketing performance? Technology is revolutionising marketing and marketing practice. Digital technology is core to the marketing process today. Automated marketing, data management platforms, customer relationship management platforms, demand side platforms, programmatic buying, content management systems, digital asset management and so much more. Plus there are new innovations and more technology options every day. Read more here. If you want to discuss this with a TrinityP3 consultant simply click here. Do you need to rationalise your roster or optimise it? As the scope and definition of marketing continues to grow, it becomes harder for one group of people to ‘know it all’. Agencies have diversified over time, to meet demand for specialist services. The result can often be unwieldy agency rosters, un-checked process and underperforming relationships. Rather then just rationalise your roster, it is important to align it to your strategy to drive maximum performance from your roster. Read more here. If you want to discuss this with a TrinityP3 consultant simply click here. 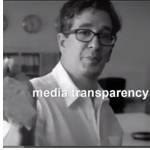 Want to achieve higher levels of media transparency and value? Media continues to be the single largest budget item for most advertisers. But how media has changed in the past decade, with paid digital media spend higher than television and all traditional media. But with these changes comes significant challenge around transparency, meaningful and consistent metrics, viewability, rising ad fraud counted in billions of dollars annually and the erosion of the advertiser’s media buying value. Read more here. If you want to discuss this with a TrinityP3 consultant simply click here. Want to bring your marketing production into the 21st century? What happens when the rubber hits the road? The right building blocks, internal and external, are essential in starting the process of improving performance. But the delivery and implementation of marketing programmes represent crunch time. This is where inefficiency impacts directly on the power of your marketing budget. Read more here. If you want to discuss this with a TrinityP3 consultant simply click here. Is your marketing environmentally sustainable? Is your marketing strategy aligned to your company’s sustainability policy? Do you measure and optimise your carbon emissions across all your advertising and marketing communications? Do you hold your specialist internal and suppliers accountable to sustainability performance? Corporate sustainability is increasingly important to more organisations and marketing plays an important role in this strategy. Read more here. If you want to discuss this with a TrinityP3 consultant simply click here. Continued to work with a large retirement fund to re organize their roster and negotiate the correct remuneration structure. We completed the market orientation stage for a leading Australian university. Lastly we completed an agency section process in Japan for a large car manufacturer.